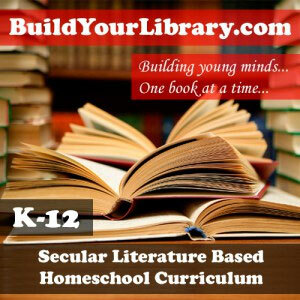 Have you been wondering if Build Your Library is the right curriculum for you? 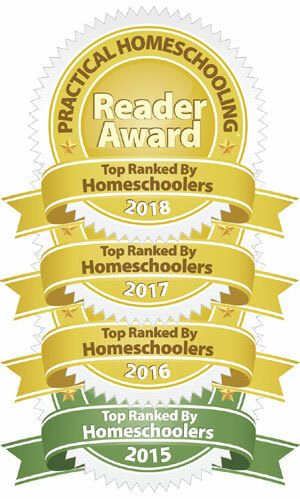 Today only, The Secular Home School Community is hosting a giveaway and you could enter to win a free Instructor’s Guide for a full year program! What do you get in an Instructor’s Guide? You get: A booklist A daily AND weekly … Continue reading "Build Your Library Giveaway"
Figuring out which math curriculum to use has probably given me the most problems over the course of our 10 years of homeschooling. Personally, I was never really good at it when I was in school, so teaching my children math promised to be a daunting task. After many years of worrying about math, I’ve … Continue reading "Recommended Math Programs"
Every summer, Discovery Channel has their Shark Week special, and my family and I look forward to it every year – to say we are shark fans would be an understatement! So of course, I had to write a Shark Unit Study! Now you can celebrate Shark Week any time of year! With this multi-age … Continue reading "Unit Study: Sharks!" One of the biggest benefits of homeschooling my children, by far, has been my self-education. I can honestly say that I’ve learned more in ten years of homeschooling than I ever learned in all my years in public schools. When you homeschool, inevitably, you will come across topics you never really studied before. This is … Continue reading "Self-Education, a happy side effect to homeschooling"
I posted once before about how to use a Timeline or Book of Centuries in your studies. I thought I would take it a step further, and make it even easier for you to use a timeline with your children. As far as I’m concerned, they are one of the most helpful tools when studying … Continue reading "New at Build Your Library – Timeline Figures"
Reading aloud to your children is so important. I cannot stress that enough. It may be one of the most important things you do for them, educationally speaking. Most parents can find the time to read a picture book or two with their infants and toddlers, but once a child learns to read, that snuggly … Continue reading "The Importance of Reading Aloud"
Homeschoolers today have the benefit of an abundance of curricula to choose from. There are programs out there for every style of homeschooling, for every type of learner, and for every budget. It’s extremely easy to become overwhelmed and it’s even easier to overspend. I often hear the question, “How much should I budget?” and … Continue reading "Is Homeschooling Expensive?" I came across this blog today and thought it might be of interest to anyone considering using Build Your Library. She is currently using Grade 1 – The Ancient World and she blogs about her school day at NewAdventuresHS. If you are currently using Build Your Library, either a full year program or a unit study, and … Continue reading "Blog Review of Build Your Library"
When most people think of J.R.R. Tolkien, they think of the Lord of the Rings, especially since the release of Peter Jackson’s movie version several years ago. However, Tolkien wrote The Hobbit first, and it is a reading experience that is not to be missed. Enter the world of Middle-Earth, home to hobbits, dwarves, wizards … Continue reading "Unit Study: The Hobbit"